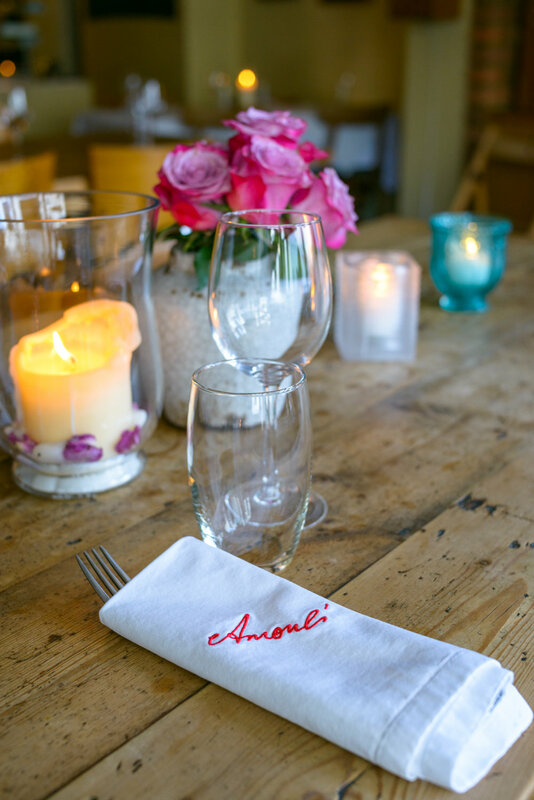 Amoul’s was an independent business that opened it’s doors to the public back in July 2003. The shared dining table was central to the feel of home, where customers enjoyed what I cooked for them. Cooking for me is a great love and pleasure and I wanted Amoul’s to feel like it was an extension of my home. I am a mother first and foremost; when my children were born I had the luxury and pleasure to stay at home and raise them. I believe that food and love are two essential forms of nourishment that are crucial for building healthy societies, both physically and mentally. To some people this might be a simplistic approach, but my place was built on these two beliefs, they were the main threads that went through the whole weave that made the place feel like home to our treasured customers who understood the concept and appreciated it. I come from Marjayoune in the south of Lebanon so my recipes come from my home. All the recipes are infused with memories. Each recipe is special to me, it is either given to me by my mother, my father, a dear friend or people that touched my life and still remain in my heart. Preserving our culinary traditions is a way of preserving our culture . Food for me is an important human need that unites people together, whether it is a family meal, or an elaborate celebration. Food is a defining factor of our identity, of the the people we are and where we came from.